The establishment of a full fledged University in Jaffna had been a long standing aspiration of the people of Jaffna. This was fulfilled when a campus of the University of Sri Lanka was established in 1974 by an order made by the Honourable Minister of Education. The campus became an independent and autonomous University bearing the name University of Jaffna on January 01, 1979. The academic and administrative activities of the university are governed by the Universities Act. No. 16 of 1978., as last amended by Act No 1 of 1995. From a small beginning in the thirty ac re campus of the then Parameswara College premises founded by the veteran philanthropist, Sir Ponnampalam Ramanathan, the University has grown enormously and is today the home of eight faculties with fifty seven academic departments, several service/academic/support units and centers and a Campus at Vavuniya, about 130 Km from Jaffna. In addition a few more Faculties, Departments and Centres are scheduled for development and will, in time, further open the University’s door to the public and increase its role, responsibilities and commitments to t he region around it. The student population of the university is about seven thousand. 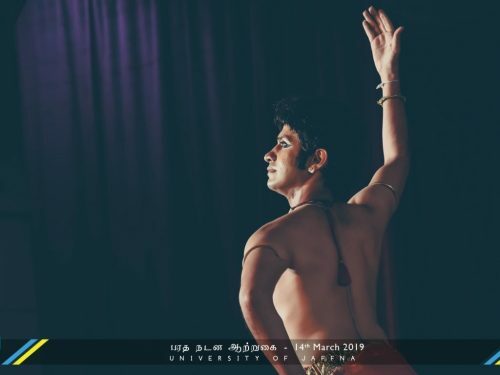 This includes about six thousand two hundred internal students in the main campus, about five hundred postgraduate students and about three hundred and fifty of the Vavuniya campus. Although some students are housed in a few halls of residence, majority of the students find their own non-University accommodation. The declaration establishing the sixth Campus of the University of Sri Lanka in Jaffna was made on 15 July 1974 by Dr.Al.Haj.Badi-Ud-Din Mahmud, Minister of Education and Pro-Chancellor of the University of Sri Lanka with the Parameshwara College premises, Thirunelvely as the nucleus. Parameshwara College was founded by the veteran philanthropist Sir Pon Ramanathan in August 1921. On 19 July 1974, the Vice-Chancellor of the University of Sri Lanka Mr.L.H.Sumanadasa announced the appointment of Dr.K.Kailasapathy, Head of the Dept. of Tamil and Hindu studies of the Vidyalankara Campus of the University of Sri Lanka as the first President of the Jaffna Campus. The Jaffna Campus of the University of Sri Lanka with the proposed Faculties of Science, Law, Humanities and a Department of Physical Education was established with effect from the 1st of August 1974, by notice published in the Gazette Extra-ordinary No 121/15 of 25 July 1974 issued by the Vice-Chancellor in consultation with the Hon.Minister of Education, by virtue of powers vested in him by Section 18, read with Section 85 of the University of Ceylon Act No 1 of 1972. Dr.K.Kailasapathy assumed duties on 01 August 1974 as the First President. On 09 August 1974, Mr.K.P.G.Wijayasurendra, Deputy Registrar of the Vidyalankara Campus, assumed duties as the first Deputy Registrar of the Jaffna Campus. The undergraduate section of the Jaffna College was taken over by the Ministry of Education on 13 August 1974 and handed over to the University to start the Science Faculty of the Jaffna Campus. On 01 October 1974, Prof.P.Kanagasabapathy, Head of the Dept. of Mathematics at the Peradeniya Campus, and Dr.K.Indrapala, Senior Lecturer in History at the Peradeniya Campus were appointed as first Deans of the Faculties of Science and Humanities respectively. On 06 October 1974, the Jaffna Campus of the University of Sri Lank a was ceremonially inaugurated by the then Hon.Prime Minister of the Republic of Sri Lanka, Mrs Sirimavo Ratwatte Dias Bandaranaike in the presence of a large audience at Parameshwara premises at 2.25 p.m. by unveiling the commemoration plaque on the invitation of the Pro-Chancellor, Dr.Al-Haj Badi-Ud-Din Mahmud, the Minister of Education. Although approval was granted for the study of Science, Law, Humanities and Physical Education, only the Faculties of Humanities and Science were established in October 1974. The Faculty of Humanities which was started with four department of studies was renamed as the Faculty of Arts in 1975, increasing the number of department of studies to ten. The Faculty of Science offered courses only in Mathematics and Statistics. A total of 208 students formed the first batch of students. Courses in Physical and Biological science were started in 1975 with a total intake of 35 students for these two courses in the academic year 1975/76. The Ramanathan Academy of Fine Arts (RAFA) was inaugurated at the Ramanathan College premises at Maruthanarmadam, by late Mr.S.Nadesan in memory of his father-in-law Sir.Pon Ramanathan to promote the education of Tamil classical music and Bharatha Natyam. Leading scholars and artists from Tamil Nadu were invited to serve as Directors and Lecturers in this Institution. After the demise of Mr.S.Nadesan, the Academy was taken over by the Jaffna Campus of the University of Sri Lanka with effect from 01 December 1975. The RAFA functioned as a unit under the Department of Fine Arts until it was upgraded as a separate department of study in the Faculty of Arts in 1992. Prof.S.Vithiananthan succeeded Prof.K.Kailasapathy as the second President of the Jaffna Campus of the University of Jaffna on 01 August 1977. The Faculty of Science was shifted to the Thirunelvely premises in June 1978. The Faculty of Medicine was established on 07th August 1978 in the buildings of the Ayurvedic Hospital at Kaithady. It moved to a new building at Thirunelvely in 1981. The new building was completed in 1988. The Jaffna General Hospital was elevated to a Teaching Hospital in 1978. With the implementation of the Universities Act No. 16 of 1978, and by Gazette notification dated December 22, 1978, the Jaffna Campus became an independent and autonomous University with the name University of Jaffna with effect from January 01, 1979. Following the ethnic disturbances in 1983, the Siddha section of the Institute of Indigenous Medicine, affiliated to the University of Colombo was transferred to the University of Jaffna on 02 July 1984 and placed as a department under the Faculty of Arts. Since 01 October 1993, the Department of Siddha Medicine has been functioning as a separate unit under the direct administration of the Vice-Chancellor. From September 2003, a management committee appointed by the University council oversee the administration of the Department of Siddha Medicine. A Computer Unit was established in 1985 as a Service Unit under the overall supervision of the Dean of the Faculty of Science. Construction of the Main Library building and the Student Centre commenced in early eighties. However the construction works were completely halted as a result of military activities and the economic embargo imposed by the government on 01 January 1987. Only a portion of the ground floor of the Library Block was completed and put into use in 1986. The activities of both the General Administration and Academic Departments in the University were totally disrupted by the military operations of the Indian Peace Keeping Forces during October-November 1987. The University buildings suffered extensive damage due to these operations. Military operations caused considerable damage and loss to laboratory equipment, office equipment, furniture etc. During these military operations, a few academic and non-academic staff and students lost their life. 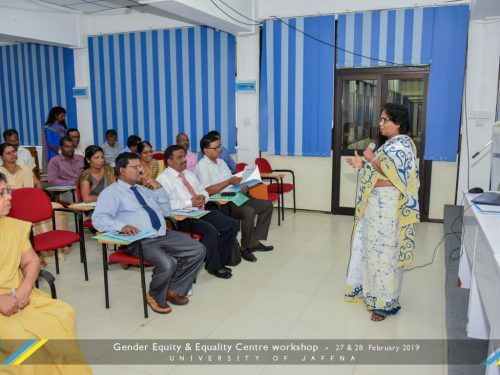 For about a decade after 1987, the political and military situation that prevailed in Jaffna were not conducive for academic development work and the university had to be contented with sustaining its ongoing programmes. During this period frequent declaration of curfew and military operations including aerial bombings in addition to economic blockade of many essential goods disturbed the academic activities of the university, especially in the science disciplines. These problems also caused many Probationary Assistant Lecturers not to return to Jaffna after their postgraduate studies abroad causing additional burden on the few staff who decided to stay back. The University, managed to withstand the above mentioned constraints and continued its academic activities making some progress on the development side. The Faculty of Agriculture was established on 03 December 1990 at Kilinochchi, a fast developing city in the mainland about 60 km south of Jaffna. The Faculty commenced its activities in some of the buildings obtained from the Regional Agriculture Research and Development Centre (RARDC), Kilinochchi and the In-Service Training Centre, Kilinochchi. A portion of the buildings of the National Youth Service Centre was also taken over by the Faculty to provide hostel facilities to the students. The University Grants Commission approved the establishment of a Faculty of Engineering in the University of Jaffna at Kilinochchi in October 1989. A Professor of Civil Engineering was appointed for preparing plans for the commencement of building works and designing the curriculum for a degree programme. However, in view of military conflicts and the unsettled conditions that prevailed in North-East Sri Lanka, after 1990, the University Grants Commission was of the view that development programmes in the University could be given priority after peace was restored in the region. The Nothern Province Affiliated University College (NPAUC) was established in 1991 at Vavuniya to offer Diploma Courses in Mathematical Sciences and Accountancy and Finance. The NPAUC was upgraded as the Vavuniya Campus of the University of Jaffna by Gazette notification dated 26 march 1997. Two Faculties, the Faculty of Applied Science and Faculty of Business Studies each with two departments of studies was created. After the signing of the Memorandum of Understanding (MOU), between the Government of Sri Lanka and the Liberation Tigers of Tamil Eelam (LTTE), the University has taken up this matter with the UGC again and has submitted a proposal to establish a full-fledged Faculty of Engineering at Kinlinochchi adjoining the Faculty of Agriculture. The External Examination Unit was established in 1990 to conduct external examinations. The Department of Compute Science was established with high effort of Professor K Kunaratnam, Professor of Physics, with the kind support of the then Head of the Department of Mathematics and Statistics, Mr P Makinan. The first batch of students were admitted for the course of Computer Science in the 1990/1991 academic year. Professor K Kunaratnam was the pioneer Head of the Department. A Workers Education Programs was inaugurated on 01 May 1991. An Extra Mural Studies Unit was established in October 1992, to conduct short term courses for the benefit of the people who have no opportunity for University education. The year 1995 witnessed a mass exodus of population from Jaffna Town and the Valigamam region to Vadamaradchi and Thenmaradchi regions of the peninsula and the mainland. As a result of the exodus the University environs became depopulated and inaccessible. The administration of the University was temporarily shifted to the Agriculture Faculty at Kilinochchi. A sub-office of the administration was established at Chavakachcheri Hindu College. The exodus proved to be a disaster to the university. It lost laboratory and office equipment and furniture worth over one hundred million rupees. The University recommenced its activities in Jaffna in July 1996 at the Thirunevely premises. The University is slowly recovering from the traumas of the war after the signing of the MOU. © Copyright 2019 UNIVERSITY OF JAFFNA.